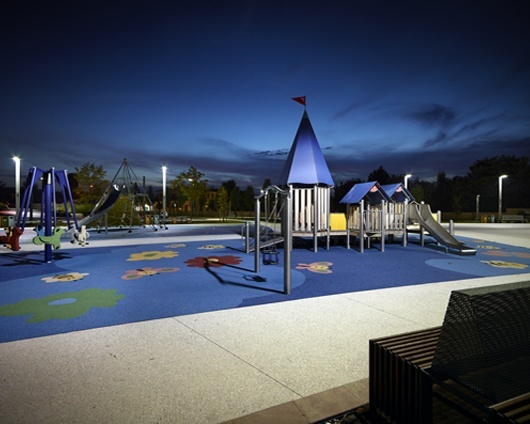 The park at the centre of the Tuscan city of Vecchiano was redesigned – introducing friendlier colours and larger play areas. 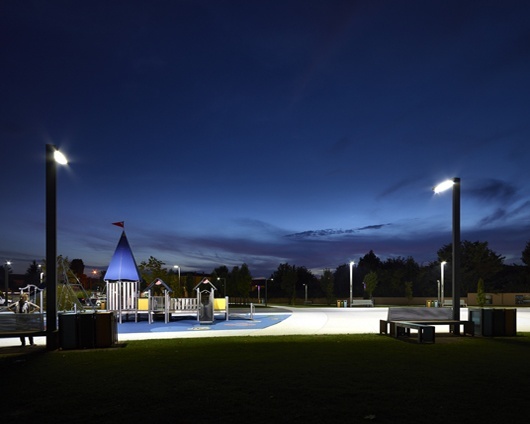 ewo flanked this renewal process by providing illumination for the area. 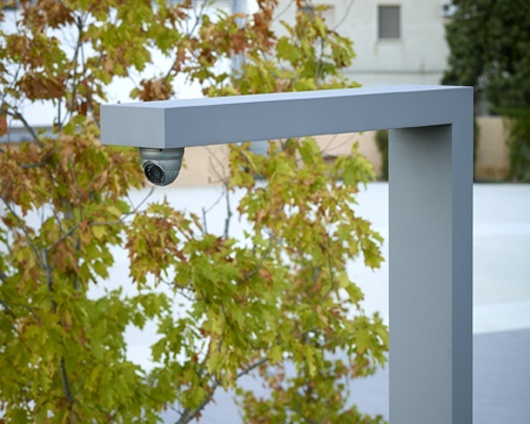 The planners placed a priority on integrating several functions into the lighting fixture used, in this case: loudspeakers and cameras. 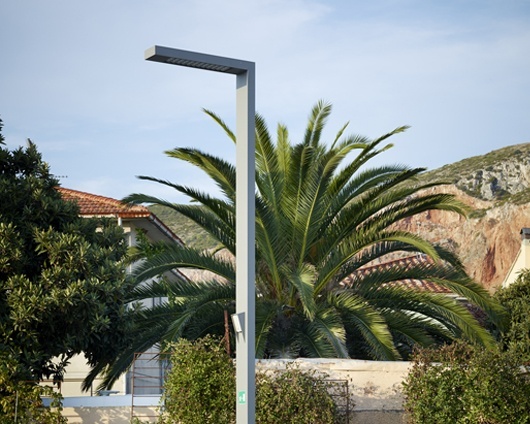 By modifying the ewo mast light FA, it was possible to integrate these functions into a minimalist form. There was no need to install additional elements, and no interference with the architectural concept. When it gets dark, the area is illuminated by a pleasant warm white light. 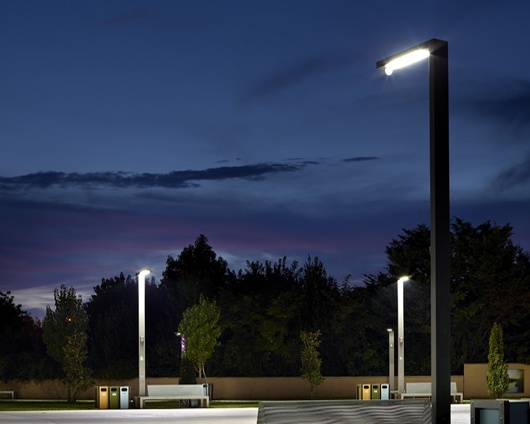 In addition to the corresponding main lighting components, an additional recessed R100 type LED spot is installedin the horizontal aluminium fixture. As desired, light in any RGB colour can be cast on part of the mast and the ground around it. 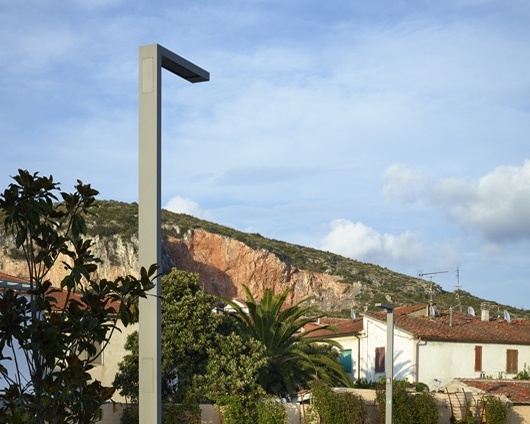 The resulting possibility of creating different atmospheres by immersing the area in various colours augments the multifunctional character of the lighting mast.